I went to the supermarket today. As I walked pass the seafood section, a lady who works there asked me if I wanted any salmon bones. I know her quite well as I always go there and check on their seafood. Since I never bought salmon bones before, I didn’t know what I should use them for. The lady suggested that I could use them to make soup. Well, I thought that was a good idea. So I took the fish bones home and came up with a recipe immediately. Remember one time my sister-in-law told me that she always uses V8 original juice to make spaghetti sauce. So I tried to use V8 as one of the ingredients to make my soup. We had the soup at dinnertime. It was delicious. 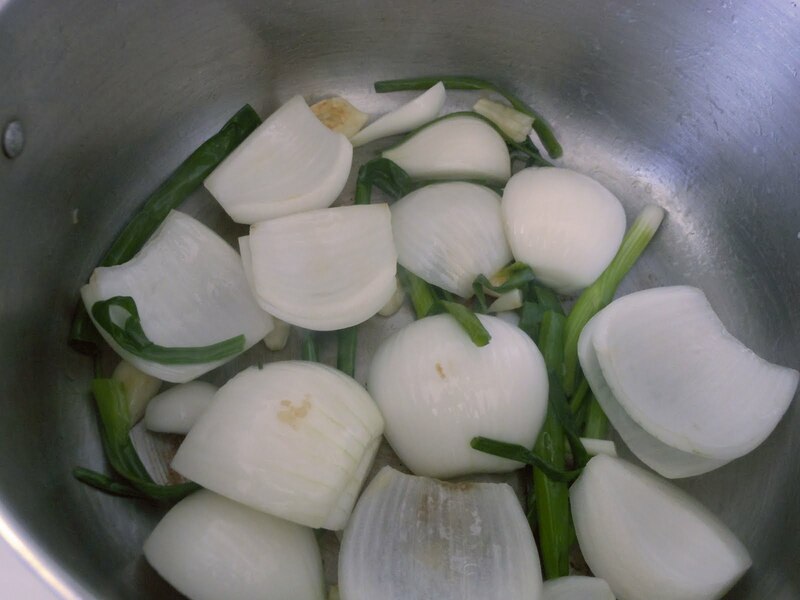 Add garlic, onion and green onions and sauté for about one minute. Add salmon bones and continue to sauté. Then turn to minimum heat and simmer for 1 hour. Drain the fish soup by using a strainer. Transfer to another pot. 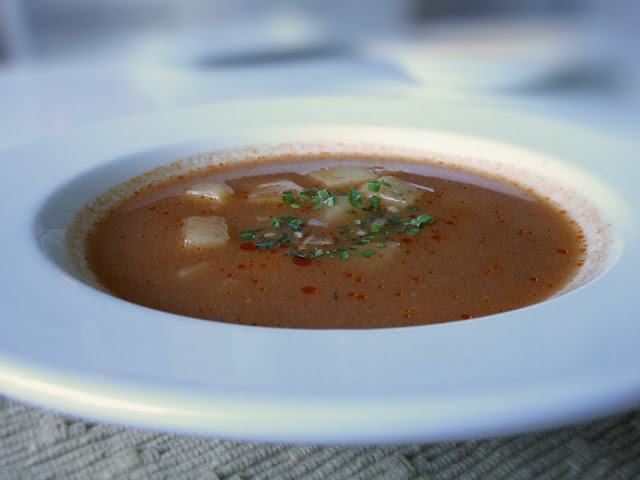 Add potato into the soup and simmer for half an hour. Sprinkle some parsley or chopped green onions and serve.